Eat up at more than 30 restaurants during Dining Out for Life, and automatically provide financial and social support to AIDS Foundation Houston (AFH) on Thursday, April 25, 2019. Since 1991, AFH has been joining more than 3,000 restaurants in 60 cities across the U.S for Dining Out for Life, now returning for 2019. Whether you’re in the mood for breakfast, lunch, or dinner, all that’s needed is to simply visit a participating restaurant on Thursday, April 25, pay your tab, and the restaurant will automatically contribute a portion of your bill to AFH. Proceeds from Dining Out for Life will help support stabilizing programs that help thousands of Houstonians living with HIV/AIDS, and prevention services that reduce new HIV transmissions. Ambassadors from AIDS Foundation Houston will be on-hand at restaurants to greet diners and share information about Dining Out for Life. If you’d like to make an individual contribution to the cause, ambassadors will be collecting those on-site. If you can’t make it out, supporters can also make a donation online. All proceeds support AIDS Foundation Houston programs. Click here to donate online. About AIDS Foundation Houston, Inc.
AIDS Foundation Houston, Inc. (AFH) was formed in 1982 as Texas’ first organization dedicated to HIV prevention education and services that include benefits and resources counseling, case management, housing, and food and nutrition assistance to low-income, HIV+ men, women, and children. Time: All day; Check with participating restaurants for hours of business. 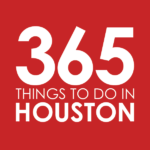 Location: Throughout Houston; Scroll up or click here to see participating restaurants. This story was sponsored by AIDS Foundation Houston. Per our sponsorship policy, we only accept sponsored content from businesses that meet our editorial standards and truly present a valuable activity, resource, or destination for residents and visitors across the greater Houston area. Click here to learn about promoting your event or business.